The Lyra family of USB audio interfaces offers Prism Sound performance at its most affordable ever. They are based on the Orpheus audio path and clock circuitry, but in a smaller package for those who don't need eight channels of analogue I/O. There are two models Lyra 1 and Lyra 2. Lyra is based on an ARM Cortex processor design which offers class-compliant USB and the possibility for future Ethernet AVB interfacing, plus DSP and local mixing capacity beyond that of the present Orpheus platform. Lyra makes no compromises on audio quality. It is the result of years of research and development into digital audio conversion and extensive dialogue with Prism Sound's customers. The Lyra design brief was: Prism Sound quality at an even more accessible price point. Lyra has the same no-compromise analogue front and back ends as its brother Orpheus, with the same fully-balanced-throughout architecture and the same isolation barriers protecting the analogue from digital and computer interference. Lyra draws on Prism Sound's years of experience in developing digital audio products, including its range of audio test equipment, adopted by a wide variety of clients across the audio industry from pro-audio to consumer electronics. This experience means that Lyra is well-behaved both as a computer peripheral and an audio processor. It is often said that THD+N figures do not always correlate well with the perception of sound quality and this is true - partly because the traditional measures of THD+N or SINAD expressed as RMS figures are rather a broad measure. With this in mind, we have taken great care to make sure that not only is the RMS THD+N figure very good, but the Lyra noise and distortion spectrum is beyond reproach and that Lyra provides the most transparent listening experience. Prism Sound has taken on board the increasing importance of native processing power for professional users and the fact that software products for standard PC and Mac platforms have been greatly enhanced in recent years. Prism Sound is probably best known for A/D and D/A converters such as the venerable ADA-8XR and Orpheus, which already provides a solution for those needing a FireWire interface. However, the flexibility and versatility of the ADA-8XR comes with a higher price tag, reflecting the fact that no other interface provides such exceptional audio performance or can work directly into Pro Tools Core/Processing cards, as well as running a concurrent DSD processor or FireWire interface. Lyra is easy to connect to your computer and to your outboard gear. For Windows users ASIO and WDM drivers are provided, while for Mac OS X 10.4 or later, Lyra interfaces directly to Core Audio. For both Mac and PC platforms, there is a controller application to configure the unit and control its built-in mixer and other functions. Aside from the monitor and headphone level controls, everything else is operated solely from the Lyra controller application. 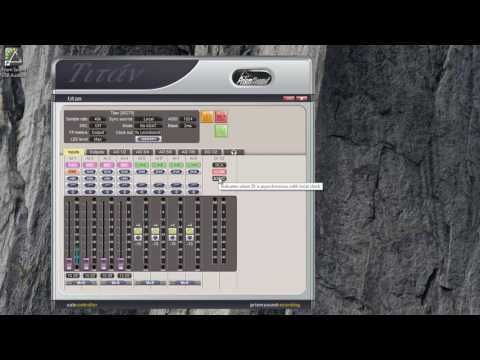 The controller software opens on-screen as a separate panel alongside your existing editing software. Since Lyra is UAC2 compliant, it will also work in recent Linux and Android builds, although no control panel is provided. Looking to the future, low-latency synchronised networked audio and video is now becoming a reality with the implementation of AVB (Audio Video Bridging), an IEEE 802.1 networking standard. Lyra 2 is planned to support AVB in future firmware updates. Our professional users wanted a highly integrated solution with stereo inputs serving as line, instrument or microphone inputs, and line outputs that could be used for stereo monitoring, mastering and/or foldback to performers. Lyra offers up to four monitoring outputs, digital inputs and outputs as stereo AES3 or S/PDIF or up to 8 channels of digital I/O on the ADAT optical format, plus stereo headphones. Lyra's analogue inputs support various capabilities. Lyra has the same excellent mic amps as Orpheus with software-controlled gain in 1dB steps, switchable phantom power, a 20dB pad - and very low noise and distortion. These inputs are auto-sensing with software over-ride. On Lyra 1, channel 1 can be instrument or line, channel 2 can be microphone or line. On Lyra 2, inputs 1 and 2 can be microphone, instrument or line. Analogue inputs have individually-selectable Prism Sound "Overkiller" peak limiters built in, just as on the higher-priced ADA-8XR and Orpheus, to catch those fast transients. The Overkiller threshold automatically follows the operating line-up level selection (+4dBu or -10dBV). Overkillers are ideal for percussive sounds, particularly drums, where headroom can be a problem. The co-axial digital I/O port can be switched in the Lyra 2 controller applet between S/PDIF and AES3 formats. This control changes the operating voltage and the Channel Status format and is complemented by two in-line adaptor leads that provide external XLR connections for AES3 devices. The optical digital I/O ports on Lyra 2 can also be configured as ADAT I/O. Other connections include wordclock sync I/O on BNC connectors (Lyra 2 only). Our customers also identified a need for a unit that could provide low latency foldback to performers, particularly when tracking and overdubbing. In answer to this need, Lyra has a built-in digital mixer that can be configured from the host computer to provide foldback feeds to performers, each with their own stereo mix of workstation playback and any of the inputs. 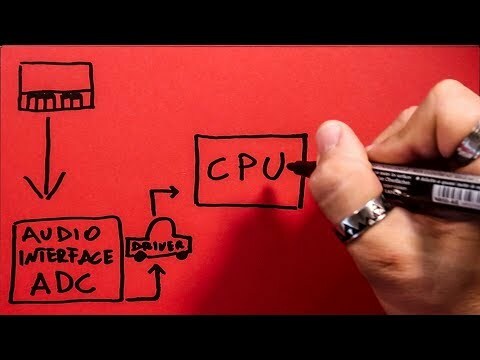 The question of latency in computer interfaces, especially USB and FireWire boxes, is an important one. Obviously there are situations where the round-trip latency needs to be really short, like in overdubbing. The problem is that even if the latency on the interface and in the driver is as short as it could ever be, a native DAW is busy with plug-ins and other software and buffer times are probably set long. The only answer is to provide local foldback mixing in the interface. This is not new, and other products feature it, but most local mixers in competitive products are just too basic. Lyra provides 'console quality' local mixing - each output has its own independent mixer, with channel strips for all inputs and workstation feeds, complete with fader, pan/balance pot, solo and mute buttons, and full metering. Strips can be stereo or mono, and the mixes are dithered with filtered coefficients, just as in a top-end digital mixer. There is a very small residual delay through the A/D and D/A conversion process in the foldback path, mostly from filters used for decimation and interpolation. However, with the low-latency Prism Sound DSP mixer, the worst-case delay through the A/D and D/A path is only 0.5ms and is significantly less at higher sampling rates - to put this into perspective, it's equivalent to standing approximately 15cm (6 inches) further from a speaker and is generally reckoned to be small enough not to be problematic. Although the unit's outputs will mainly be used for monitoring or foldback, the fact that they are of such high quality makes them suitable for a range of other applications such as insertion points, analogue summing or driving analogue mastering chains. The digital output is equipped with the four Prism Sound SNS noise-shaping curves and includes Prism Sound's renowned synchronous sample-rate conversion (Lyra 2), allowing outputs to various external devices at other sampling rates. The sample-rate converter can be used at the outputs as well as the inputs, so as well as dealing with unsynchronised or wrong-rate digital inputs, Lyra can also generate, say, a live 44.1kHz output from a 96kHz session. Since Lyra also includes the full suite of the famous Prism Sound 'SNS' noise shapers, you can also reduce to 16-bits for CD at mastering-house quality. 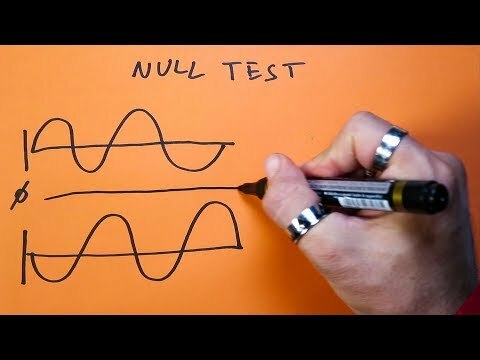 Lyra 1 supports sample rate conversion on the input only. In the 1990s Prism Sound pioneered testing of sampling and interface jitter and as a result our digital audio products deliver unsurpassed jitter rejection. Prism Sound digital audio products lock up fast and re-generate ultra-stable clock outputs. 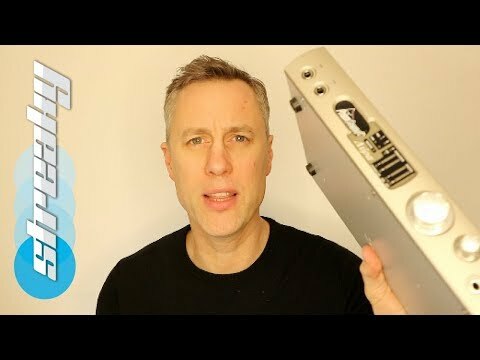 Another aspect of the traditional Prism Sound converter that is retained was the clocking - it's just as important as analogue-path considerations sound-wise. Lyra uses the same CleverClox dual digital phase-locked loop (DPLL) circuitry as Orpheus so whether it's providing a high-quality master clock for the rest of the room (Lyra 2 only), or dealing with a jittery clock from outside, Lyra is as rock-steady as its forbears. Over the years, Prism Sound's reputation for audio quality has been matched by its reputation for after-sales support and technical advice. Lyra has the benefit of that support and customers have access to one of the best technical teams in the business. 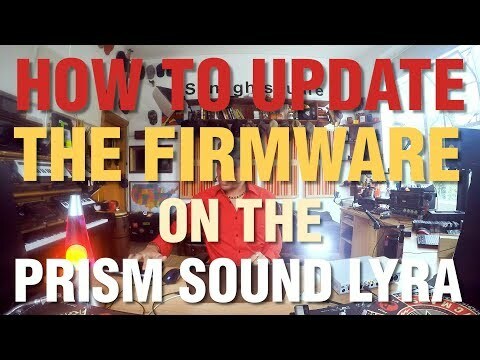 Doctor Mix shows how to update the Firmware of the Prism Sound Lyra. Streaky runs through the Prism Lyra, how it sounds and how he uses it.